At the University of Maine, everybody is now eating vegan mayonnaise. 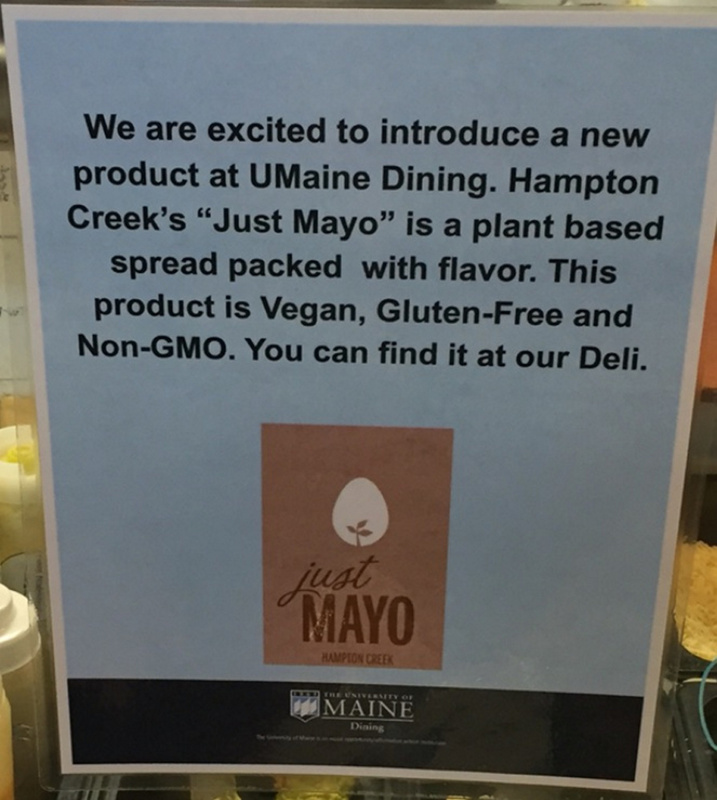 When students returned to the University of Maine’s flagship campus after winter break, the mayo on their salads and sandwiches had changed from a conventional product to the egg-free and vegan Just Mayo. It’s a move taking place at other campuses and institutional dining services across the country, which like UMaine are attracted to the product’s sustainable footprint, lack of cholesterol and suitability for special diets. For sophomore and vegan Brooke Hoyle, the biggest benefit is that many of the dining halls’ prepared salads are now vegan. At the same time, the dining halls have added four vegan Just Cookies to the daily baked goods display. Both the mayo and cookies are made by San Francisco-based Hampton Creek. Glenn Taylor, who heads dining services at the university, had a similar reaction after the mayonnaise taste test. When samples of the pea protein-based Just Mayo arrived on campus, the dining staff tried it and said, “‘This is as good as or better than anything else,'” Taylor recounted. Though the vegan mayo costs a little more than the conventional egg-based mayo the university had been buying, he said overall it has a “minimal impact on the budget.” The vegan cookies cost less than conventional cookies, he said. 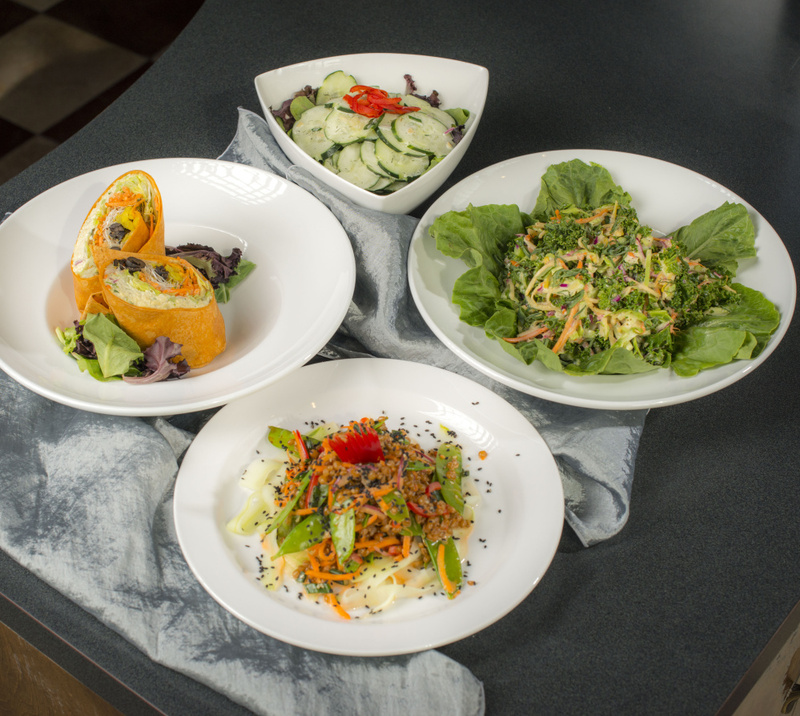 These new menu items were added because Hoyle, her sister, Audrey, and other members of the newly formed student group Vegan Education & Empowerment Coalition asked the food services department to give vegans more choices. According to Hampton Creek, buying a bottle of its egg-free mayo instead of traditional egg-based mayo saves 157.3 grams of carbon emissions, 278.4 quarts of water and 4.3 square feet of land. The savings come because growing plants rather than raising chickens to produce eggs takes less land and water and produces fewer carbon emissions. 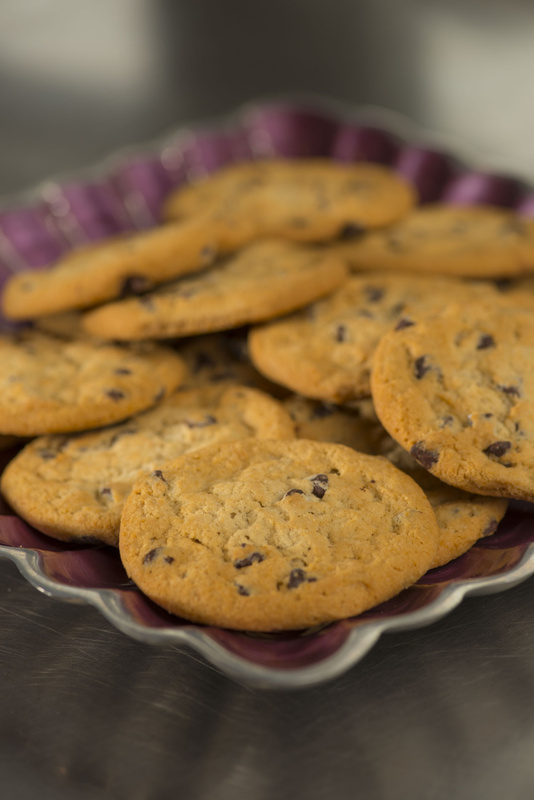 When considering a switch to the vegan Just Mayo product made by Hampton Creek, the University of Maine dining department learned about the vegan cookies from the same company and have added four flavors to the daily dining hall offerings, including chocolate chip. Hampton Creek CEO and founder Josh Tetrick isn’t surprised large organizations such as the University of Maine are turning to vegan mayo or that non-vegetarians are eating vegan foods. The company was formed to be an agent of change to spur everyone to eat more plant-based meals. “Our food system is broken and the only way to create meaningful change is to make products that are delicious, affordable and enjoyed by everyone,” Tetrick told me via email. The strategy has proven successful for Hampton Creek. Last summer, 7 Eleven convenience stores nationwide swapped out a conventional mayonnaise for Just Mayo in its prepared sandwiches. The eggless mayo also can be found on the shelves of major supermarkets from Walmart to Whole Foods and in thousands of cafeterias, from elementary schools to the U.S. Senate. Hampton Creek’s incursions into the mainstream mayo marketplace has caught the attention – and ire – of traditional food companies. In 2014 food giant Unilever, the maker of Hellmann’s mayonnaise, sued Hampton Creek alleging false advertising. Unilever contended that to call something mayonnaise it must contain eggs. A couple months and a mountain of bad PR later, Unilever dropped its suit, but then the Food & Drug Administration came after Hampton Creek with similar concerns. The company emerged from that scuffle with its Just Mayo product name intact. Eggless mayos are apparently so successful that recently Hellmann’s began making one of its own. But the company isn’t calling it mayonnaise: It’s sold under the name Hellmann’s Carefully Crafted Dressing & Sandwich Spread. Meanwhile, Hampton Creek, named one of Fast Company’s “10 Most Innovative Companies for 2015,” is in the process of rolling out 43 new vegan products, including Just Ranch dressing, Mocha Just Cake mix and Classic Just Pancakes mix. “It’s a pretty sound strategy to market to non-vegetarians,” said Billy Roberts, senior food and drink analyst at Mintel, a Chicago-based market research firm. “We’ve identified a lot of flexitarians. About 17 percent of consumers indicate they have a meat-free day once a week. 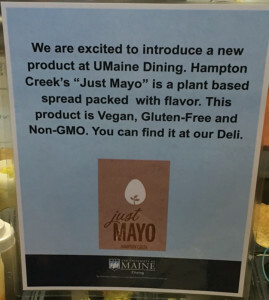 A sign promotes the switch to Just Mayo in York Dining Hall on the University of Maine at Orono campus. For people in their teens and 20s, the number of part-time vegetarians, also known as flexitarians, jumps to 30 percent. Such a trend bodes well for Beyond Meat, another vegan company that markets to mainstream consumers and like Hampton Creek has had success attracting investment capital. Founded by CEO Ethan Brown in 2009, Beyond Meat makes products such as Chicken-Free Strips and Beyond Beef crumbles. Brown, who spends a lot of time in Penobscot, Maine, said the trend of non-vegetarians eating vegetarian foods is poised for major growth as plant-based meats expand in number and sophistication. He likened this point in history to other times when technological innovations have disrupted traditional markets – think cars replacing horse-drawn carriages. 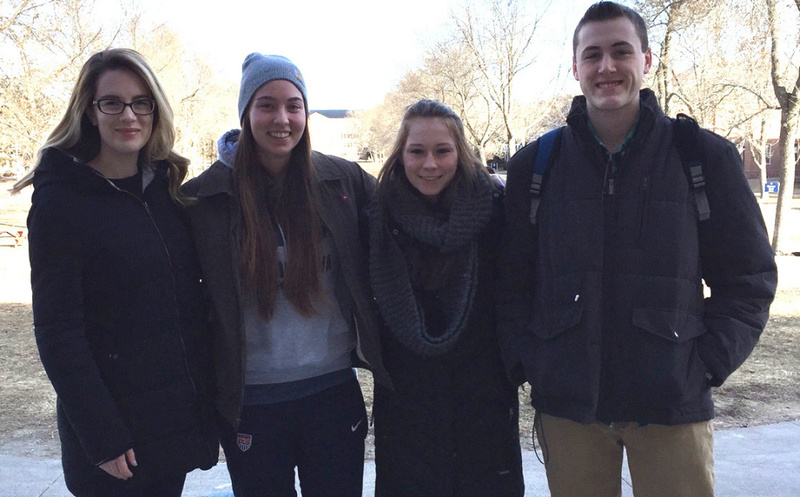 While Brown and his team push grocery stores to add plant-based choices to the meat case, Hoyle and the other vegan students at the University of Maine continue to push for more vegetarian options on campus – a place where it’s clear that change is already happening.